WASHINGTON Tossing and turning night after night? Don't automatically reach for the pill bottle. New guidelines say the first choice to treat chronic insomnia should be cognitive behavioral therapy - a way to condition your body to slumber again. The hardest step is so-called sleep restriction. Say you average 5.5 hours of sleep a night - better some nights, worse others. Tack on an extra half-hour, and then count back the resulting six hours from the time you have to wake up. If the alarm goes off at 6 a.m., then midnight is the prescribed bedtime. They also undergo a variety of other steps. For example, just as dieters might be told to eat only at the table and never in front of the TV, it's important to strengthen the brain's expectation that bed is for sleep. If you can't fall asleep, don't read in bed - get up and go to another room to read until you're drowsy and ready to try again. 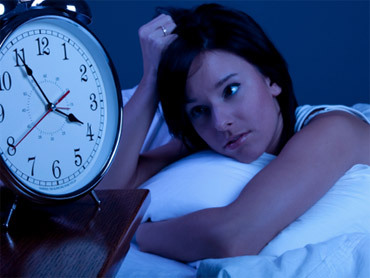 The new guidelines said when insomnia becomes chronic, there's not enough information to directly compare medications and CBT - but that starting with the behavioral approach avoids medication side effects, some of which can be serious.